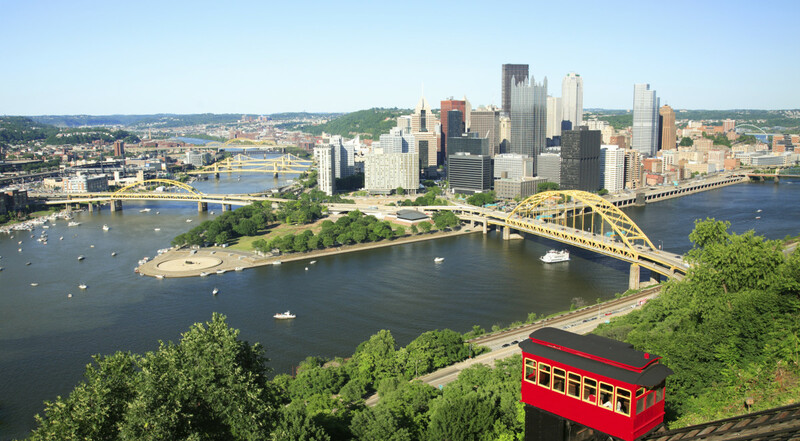 Pittsburgh, Pennsylvania is dubbed one of the most livable and most affordable cities in the nation and is known for its vibrant neighborhoods, world-class arts scene, top-rated health systems and friendly residents. Soon, it could be known for being the first city in the country to achieve 100 percent health insurance enrollment of children and youth. Thanks to a major grant from the National League of Cities (NLC), the Steel City may make history. 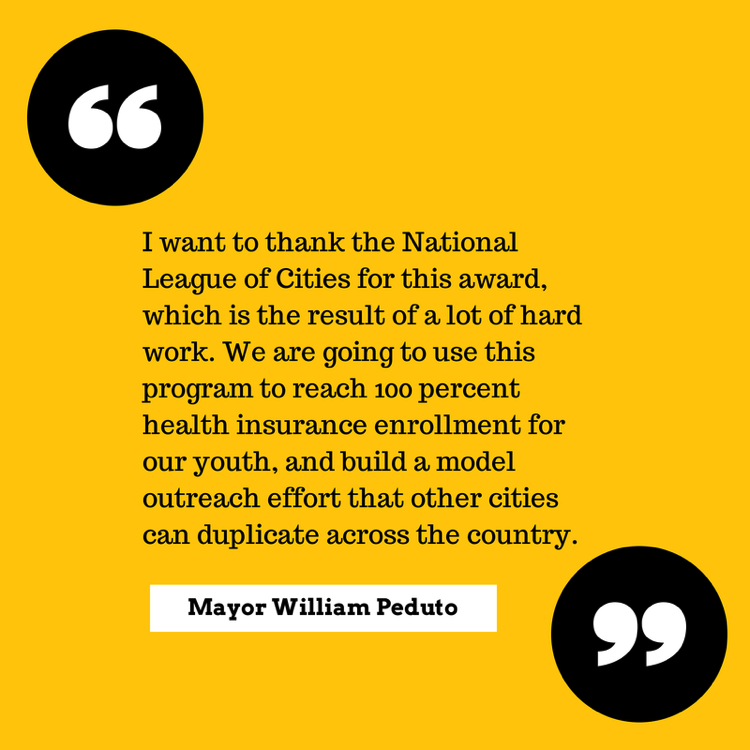 The NLC’s Cities Expanding Health Access for Children and Families initiative awarded Pittsburgh $200,000 to implement local outreach efforts to enroll its youngest residents in Medicaid and the Children’s Health Insurance Program (CHIP). The plan, called Healthy Together, will target 2,000 young people who have been the hardest to reach and most difficult to enroll. 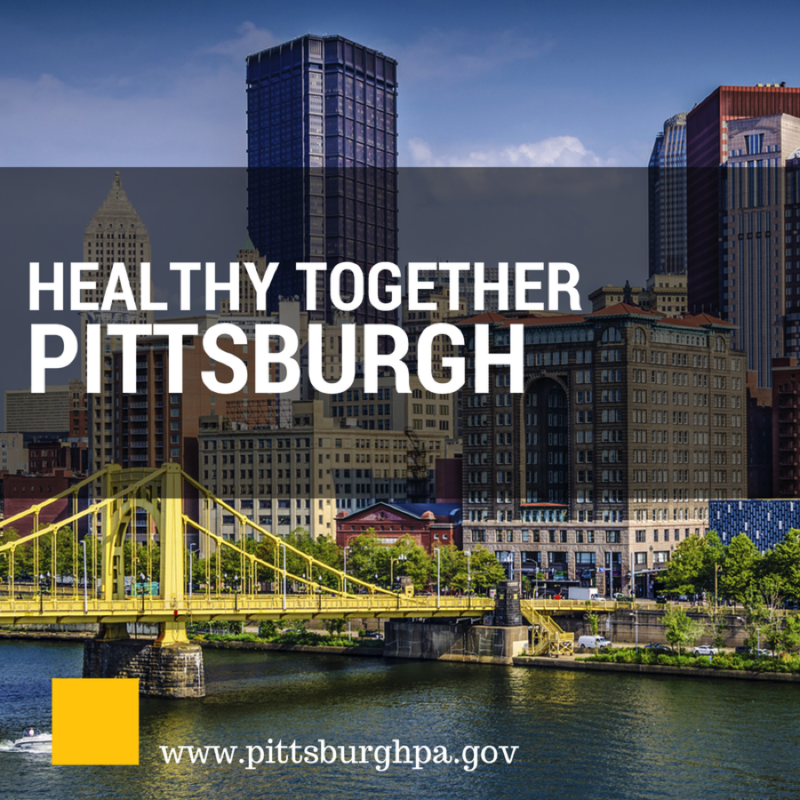 The Office of the Mayor will lead the work and collaborate with primary partners: Allies for Children, the Consumer Health Coalition and the Allegheny County Health Department. 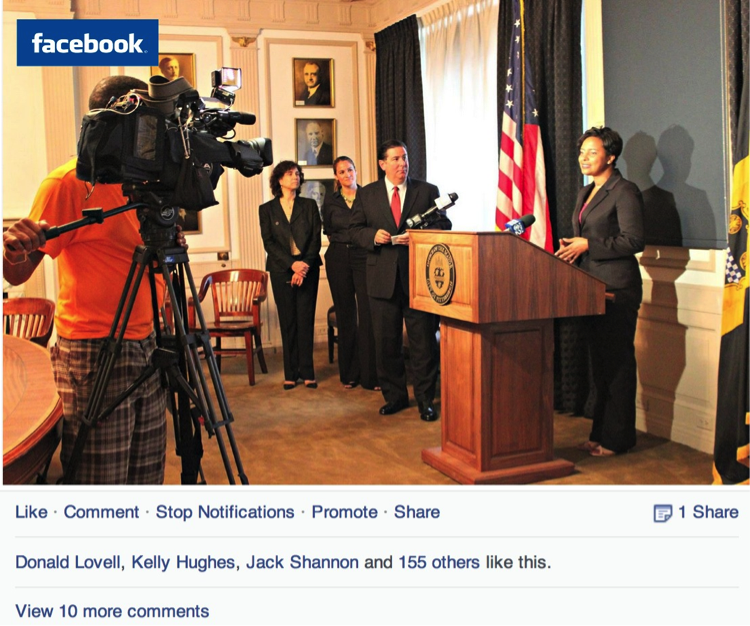 To announce the news, Mayor William Peduto held a press conference in his office. Within hours, every major media outlet shared the story. Interviews appeared on CBS Pittsburgh, KDKA Newsradio, the Pittsburgh Business Times, the Pittsburgh Post-Gazette, the Pittsburgh Tribune Review, WESA-AM and WPXI-TV, and social media messages spread like wildfire. #HealthyTogether reached more than 60,000 people on Twitter. 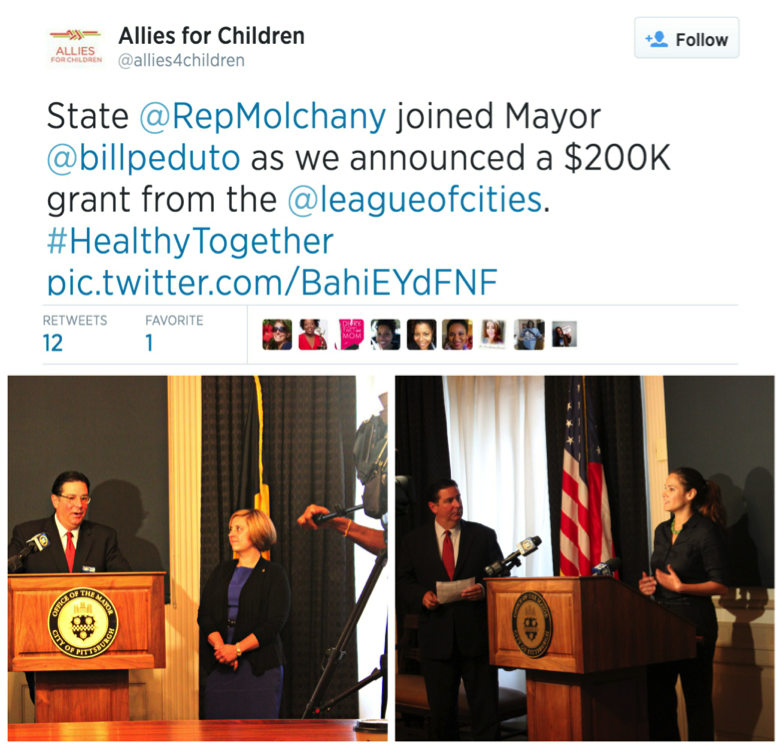 Mayor Peduto’s Healthy Together campaign combines two core strategies to move Pittsburgh to complete coverage for all children and youth. First, Healthy Together proposes outreach efforts in those communities where it is most likely that uninsured children reside. In the broadest terms, the underlying strategy of the campaign is to embed outreach and enrollment activities in efforts that already exist, like the opening of swimming pools and the rental of sports fields. Additional activities include marching band performances, roving art carts and movies in the park. 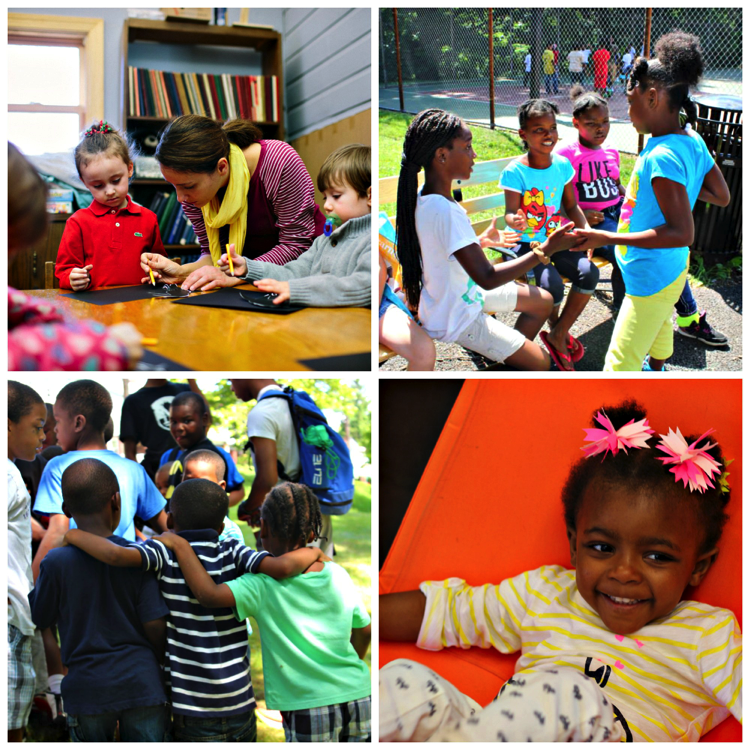 Second, the Healthy Together campaign will bring systematic change to the institutions already serving children in Pittsburgh, thereby creating a net to catch kids not identified through outreach efforts. Simultaneously, with the launching of the outreach campaign, the City of Pittsburgh, which employs more than 6,000 city residents, will launch an in-reach campaign to make certain that all employees’ children are covered with health insurance. This could be the first step towards a larger effort to require that all firms contracting with the City of Pittsburgh perform similar in-reach efforts. At the same time, the Pittsburgh Public Schools, which serves 70 percent of the school age population of the City of Pittsburgh, will track a question on school enrollment forms, which asks if students have health insurance. Beginning in August, responses to this question will be electronically coded and shared with the Allegheny County Department of Human Services. The information will then be entered into a data warehouse. Every application for which yes was not answered will be referred to the Consumer Healthcare Coalition to be matched with quality, affordable insurance. Outreach in the community combined with systematic change will not only help Pittsburgh cover 100 percent of children with health insurance, but will also foster a culture of coverage. This is especially important for the future of Pittsburgh as Mayor Peduto positions the city for population growth of 20,000 in the next decade. Having successful outreach strategies and systems in place to assist families, especially those new to the region, with finding affordable health insurance will be critical to the long-term health of Pittsburgh and Allegheny County. Throughout the enrollment campaign, Mayor Peduto will serve as a spokesperson, working with community members and community-based organizations. and Urban League of Greater Pittsburgh. Healthy Together combines a healthy mix of government leadership and community partnership with a rich variety of activities. The goal is to ensure that Pittsburgh’s children will live healthily ever after well beyond the life of this grant.